Photo: Charles Wilson, Jr. House, ca. 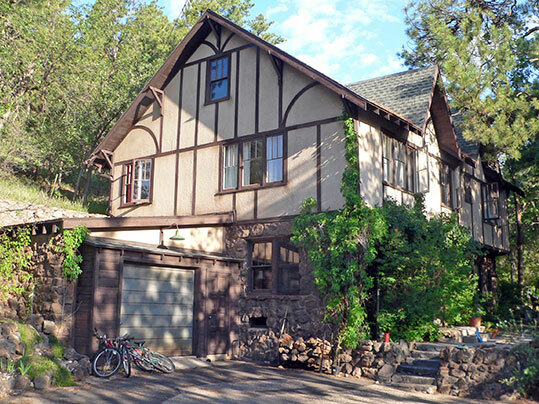 1936, 100 Wilson Drive, Flagstaff, AZ. Listed on the National Register of Historic Places in 1986. Photographed by User:Ammodramus (own work), 2012, [cc-by-1.0 (creativecommons.org/publicdomain/zero/1.0/deed.en)], via Wikimedia Commons, accessed October, 2013. Cococino County administrative offices are located at 219 East Cherry Avenue, Flagstaff, AZ 86001; phone: 928-679-7120. The County Courthouse is located at 200 North San Francisco Street, Flagstaff, AZ 86001; phone: 928-679-7600. The area that would become Cococino County began settlement in the 1870s and 1880s. The county was established in 1891 from part of Yapavi County.